FIERY Flamenco guitarist Juan Martín brings his virtuoso skills to the L3 Lounge at St David’s Hall next Tuesday (21 June). Starting at 8pm, this captivating concert in the Roots Unearthed series promises a spectacular showcase from a legendary performer, who was once voted one of the top three guitarists in the world by Guitar Player magazine. 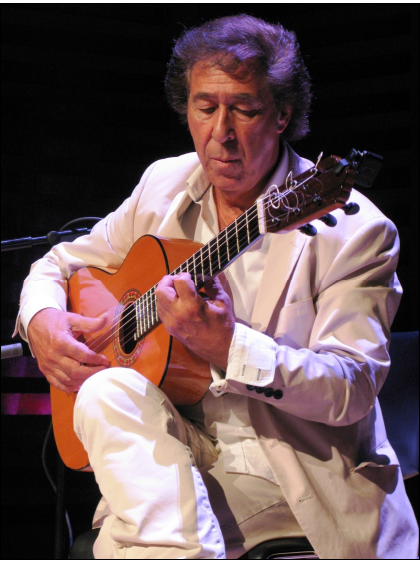 A native of Andalucía, Juan’s celebrated and highly distinctive compositional style has influenced several generations of artists and led to collaborations with acts as diverse as Miles Davis, The Royal Philharmonic, Rory Gallagher and Herbie Hancock. Juan also garnered worldwide acclaim for his theme tune to the popular American TV series The Thorn Birds. His alchemy of the traditional and modern, mixed with his seductive and passionate performances guarantee an evening of excitement and electricity. Enjoy a pint of Carling, Worthington’s, Brains Smooth and Stowford Press cider on draught for only £2 per pint. Available from 7pm until the bars close at the end of the gig. Tickets are available priced £14 in advance and £15 on the day (plus a £3.95 Ticket Service Charge per transaction and an optional 95p postage fee).